Kids Lacing Kit. 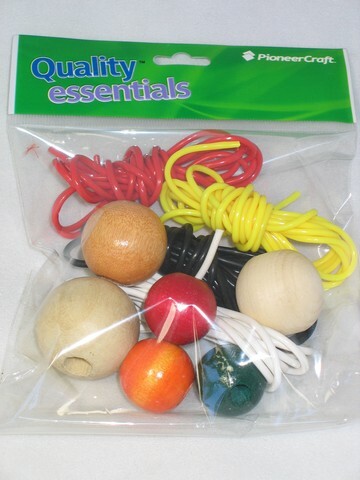 This kit is ideal for teaching the little ones how to thread without frustration. The cord is rigid enough for tiny fingers to hold and the holes in the wooden beads are large enough for the cord to go through easily. Once this skill has been achieved then they can venture to thinner cord or elastic and make their own jewellery.